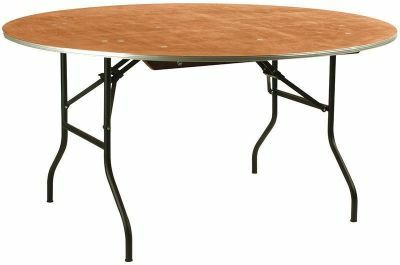 The Seaton folding table is perfect for large groups and can be stored very easily. There is a self locking system so you don't need to worry about trapping fingers. The table is supported by a thick black powder coated frame. We have a superb collection of folding tables to suit all applications for commercial uses. 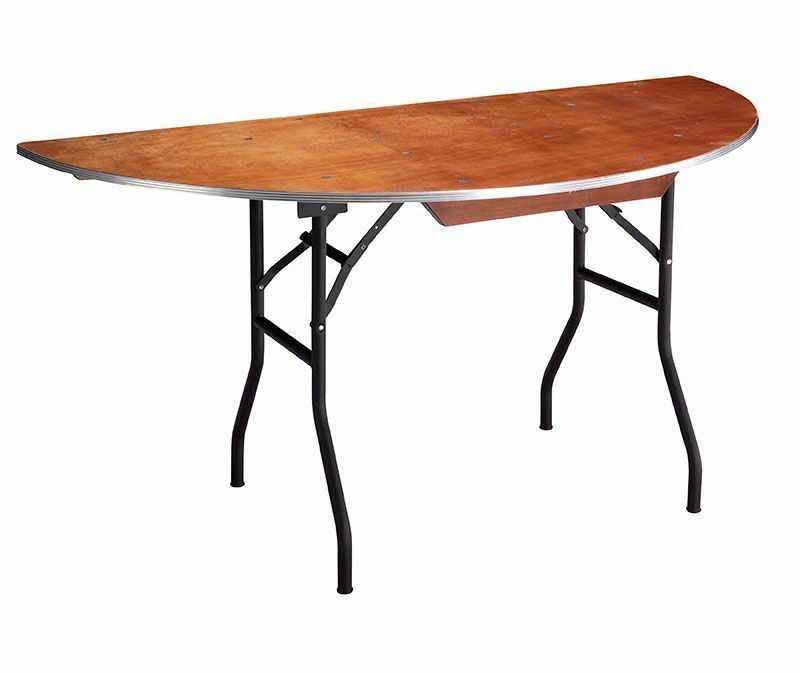 Our entry level folding table is the Seaton table. The 17 layers of plywood that make up the top of this table add to its strength and stability. The heavy duty black steel frame can be folded without the need for special tools. The edge of this folding table can be protected with a T barb aluminium metal edge which is 15mm thick. This folding table is manufactured in the UK and is held in stock for a 2-3 day delivery. 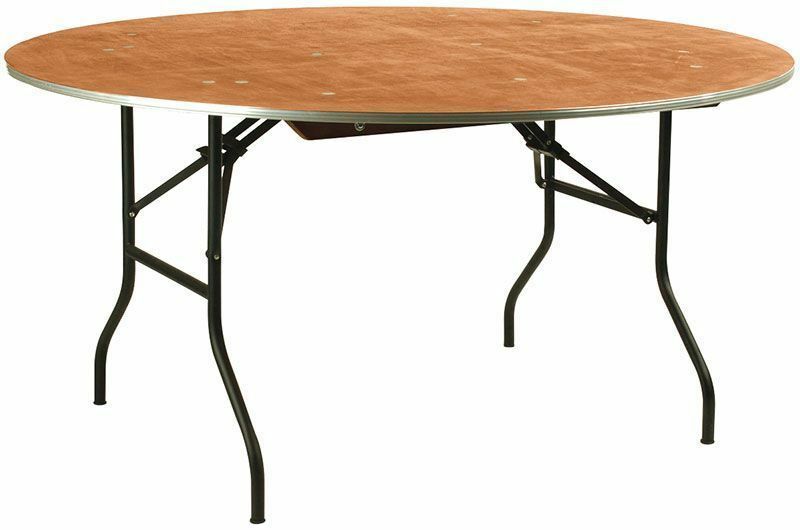 Square, rectangular and circular folding tables are offered within the range of folding tables. The Ice table is a folding table with high sides to allow the positioning of ice cubes. This folding table will take up to 35 kgs of ice. The bottom is tapered and there is a central drain hole to allow the water to escape as the ice melts. Banket folding tables and bench combinations are ideal for an inexpensive way of providing outdoor hospitality at a moments notice. 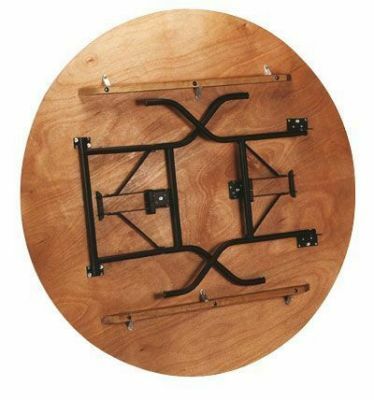 The double reinforcement bars add to the strength of this folding table. Banket folding tables and benches are manufactured in the UK. The S table is a flip top range of folding tables that foe ease of use will stand upright on its own. This folding table is useful when a speedy assembly or storage of the folding table is required. The relatively lightweight construction of this folding table also supports this application. The Favourite folding café table is compatible with tops from our café table top section including Werzalit and Rubber wood café table tops. This range of folding tables has its own specially designed folding table trolley. The Expo is a folding party or poseur table held in stock with Sevelit tops this range of folding tables also has a folding table trolley.